Fat is consumed from a variety of food sources including animal, dairy, and plant. Whether consuming healthy or unhealthy fats, the enzyme lipase is essential for their digestion. 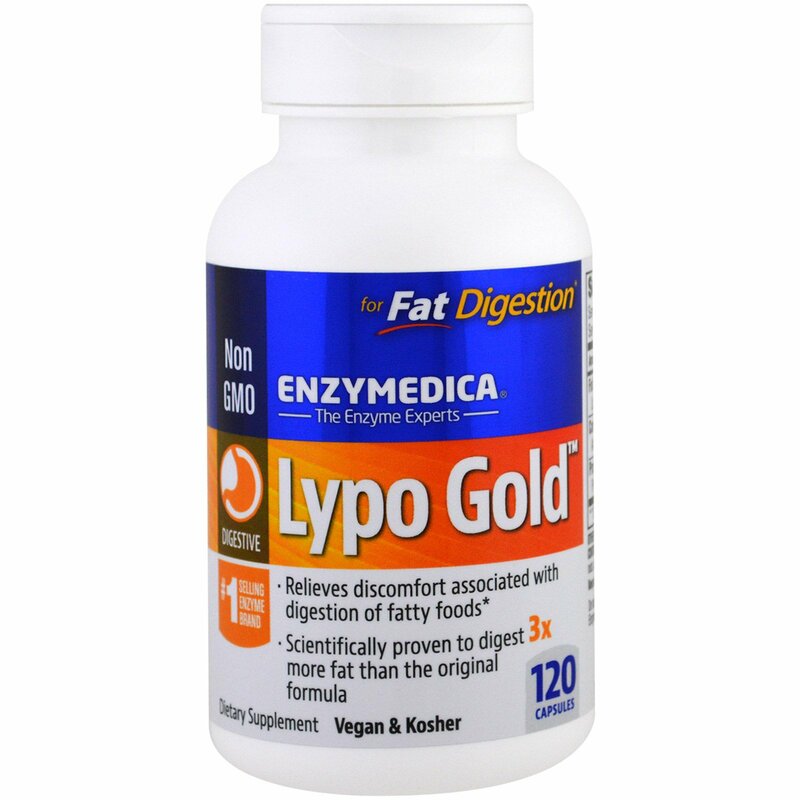 When taken with food, Lypo Gold provides a high potency lipase blend to promote quick and efficient fat digestion. Optimal digestion is critical for a healthy metabolism to keep you looking and feeling your best! 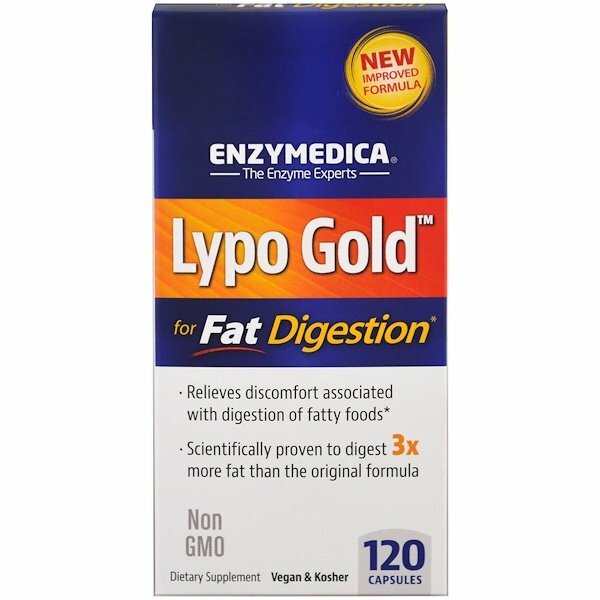 Fast-acting Lypo Gold breaks down up to 22 grams of fat in just 30 minutes to help relieve discomfort associated with the digestion of fatty foods. Enzyme supplementation takes stress off the gallbladder, liver and pancreas and ensures absorption of nutrients from the foods you eat. 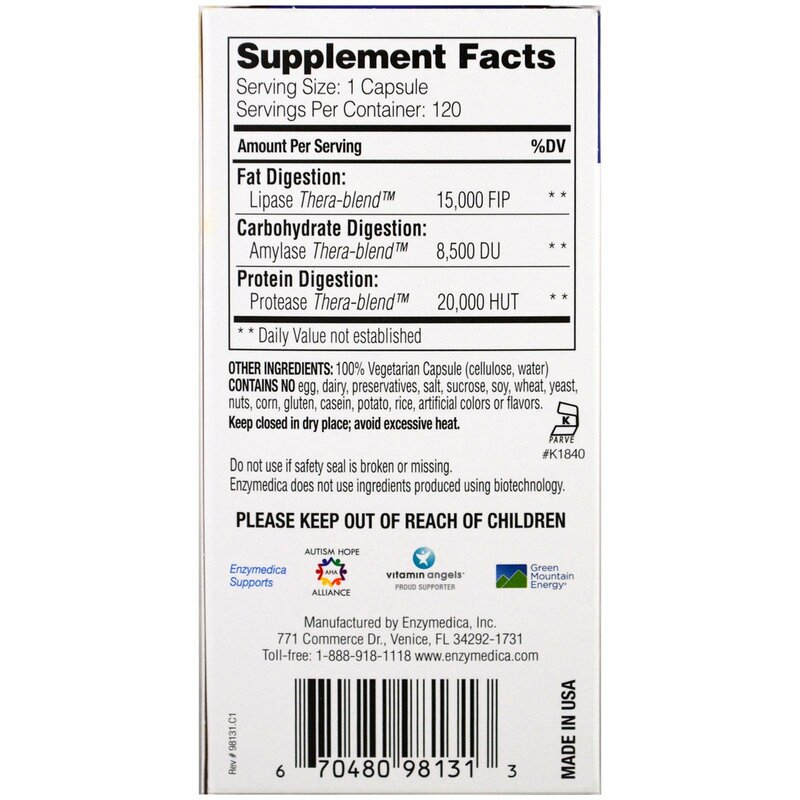 Added benefits include cardiovascular support when taken on an empty stomach. Thera-blend is an exclusive process that combines multiple strains of enzymes that work in various pH levels. Recommended Usage: 1 capsule with each meal. More may be taken as needed. For cardiovascular support: 1 capsule three times daily on an empty stomach.